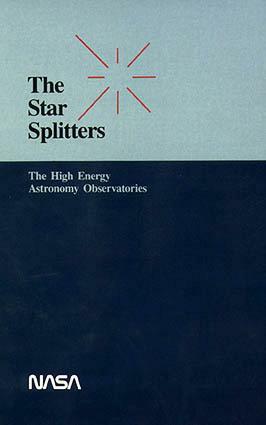 This book published in 1984 describes the High Energy Astronomy Observatory (HEAO) Missions which were developed to examine and analyze the nature of the high energy universe, stellar radiation and galactic radiation. Some of the topics covered in this book include creative violence, stellar explosions, cosmic rays, superbubbles, stellar coronas, collapsed stars, neutron stars, degenerate dwarf stars, black holes, X-ray images of galaxies, galactic nuclei, spiral galaxies, galactic clusters, the mystery of the missing mass, and cosmic fire. For the first time in history, humans have reached the point where it is possible to construct a revolutionary space-based observatory that has the capability to find dozens of Earth-like worlds, and possibly some with signs of life. This short book presents a few striking examples of astrophysics space observatories and of major results spanning from the Solar neighborhood and our Galaxy to external galaxies, quasars and the cosmological background. The European Extremely Large Telescope will address exciting new questions, and this book gives a flavour of the kind of questions that it will finally answer. The most exciting discoveries are probably those that we have not yet even imagined. The celestial sphere and its diurnal motion; On the changes of the fundamental planes to which the places of the stars are referred; Corrections of the observations arising from the position of the observer on the surface of the Earth; and more.